England lags far behind the rest of Europe in the number of bank holidays we get. A bank holiday on Saint Georges Day would be a great opportunity for all the English (regardless of colour or religion) to recognise what binds us together – instead of concentrating on our differences. Everything from football to fish & chips, and cricket to curry could be celebrated on our national day. Northern Ireland already has a bank holiday on St. Patrick’s Day, the Scottish Parliament has introduced a voluntary Bank Holiday on St. Andrew’s Day and the Welsh Assembly agree that St. David’s Day should be a holiday. Help us persuade the government to give England a bank holiday on St Georges Day. Book the day off work on Friday 23 April, 2010. If we all take a holiday on the same day it will send a powerful message to those in charge. Celebrate St. Georges Day with friends and family. Click here to sign our pledge to support a bank holiday on St Georges Day. Thank you. If you’re looking for ideas then look no further. Scroll down for a list of great events taking place around the English regions on St George’s Day this year and find out more about the some of the history and legend surrounding St George. Kick St. George’s Day off with a procession, starting at 10:15am on the April 24. After the procession there will be folk singers and musicians, Morris dancing, storytelling, brass bands, a special rugby tournament, art and sport awards, craft workshops, games, petanque, face painting, craft stalls and food at venues around Yate & District Heritage Centre, St. Mary’s Church, the White Lion and St. Mary’s School. Mark St. George’s Day with a medieval extravaganza at Tamworth Castle. Witness soldiers preparing for battle, lords and ladies going about their daily lives and servants keeping the household running. 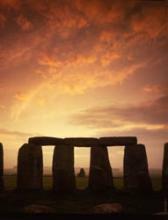 There’ll be demonstrations, living history and arts and crafts events to enjoy. Celebrate St. George’s Day with music, dance, children’s entertainment and food and drink stalls including a hog roast. At the Victoria Square stage you’ll find one of England’s finest brass bands. There’s also folk music and a tribute band to Roxy Music as well as live music from local band Deluka. There’ll be an English market selling traditional arts and crafts. The Leicester St. George’s Festival celebrates the old and the new with a fun-filled weekend of activities and events. Celebrations start at Leicester Market on April 23, followed by the Family Festival on Saturday 24 at Orton Square and ending with the Annual Parade on Sunday 25. Join Town Criers calling for a Loyal Toast to mark Queen Elizabeth II’s birthday on April 21. On the 24 there’ll be a Village Fayre, which will include the WEOROD Living History: Early Medieval Encampment. There will also be combat displays, archery, riding, traditional crafts, Morris dancing, Turkish dancers, a jester, Punch & Judy shows and hog roasts. If you still want more, there’ll be fancy dress competitions, a painting competition and a photographic display of ‘Images of England’. Enjoy a grand Last Night of the Proms style concert at Cowes Yachthaven Events Centre on Friday evening April 23 followed by a weekend of family fun. With a Fancy Dress Parade from East Cowes to Northwood Park, Cowes, marching bands, dancing displays, Punch and Judy Show, Tug of War and food stalls, they’ll be plenty to keep you occupied. On Sunday, there’s a display of Classic Cars and Motorbikes. Join Londoners as they gather to celebrate in Trafalgar Square. They’ll be live bands and street entertainers putting on a very English display complete with food stalls. With Shakespeare’s Birthday on the same day, head across the river to the Globe Theatre for workshops and interactive fun and games. London Wasps will battle against Bath in this celebratory fixture at Twickenham. Through Wasps official charity, the Dallaglio Foundation, the St. George’s Day Game will raise money for Help for Heroes, an organisation that supports service personnel injured in combat. With a mixture of entertainment, food, market stalls and music to celebrate England’s patron saint, this three-day event promises something for everyone. 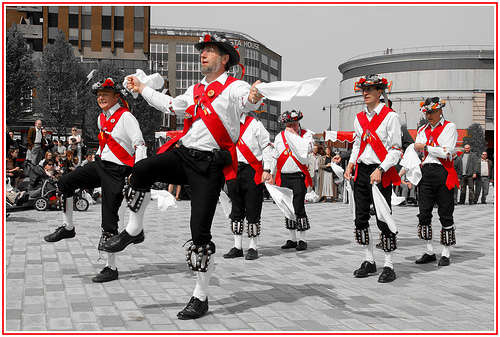 The festival starts on St. George’s Day – April 23 and runs through to Sunday 25. Catch up with The Rhythm Kings as they play classic traditional English jazz for St. George’s Day. Find them at North Shields (Bedford Street) between 10am and 11am, at Wallsend (bandstand, outside the Forum) 12.30pm-1.30pm, and at Whitley Bay (town centre) 3pm-4pm, on Saturday April 24. With a knight on horseback, re-enactments of battles, falcon displays, a market, 100 long-bow archers, tug of war, vintage cars and a fairground, this event promises to offer something for everyone. The event starts Saturday, April 17 and ends Sunday, April 18.